It was Halloween over the weekend, which was appropriate to the book I’m currently writing. It’s a Victorian horror novel, and will be for a much older, YA audience than my usual, middle grade books. It’s been a new and interesting challenge to write, and I have to say I’ve creeped myself out a couple of times, both from the writing and the research, because man, the Victorian London underworld was NOT a very nice place. I mean, just to give you a taste, this was a place where guys would sell live sparrows on strings, at a penny apiece, as a kind of one-use toy for children to play with, AKA torture. If that kind of thing is going on, you know you’ve got some serious societal issues with empathy. And fun times for me writing about them! The book will be dark and violent, but I hope it will also be ultimately redemptive and hopeful, and I’m trying very hard to avoid any gratuitousness; when I include something that makes me uncomfortable, I make certain it’s not going in just to shock the reader, but serves a vital narrative purpose that can’t be accomplished another, better way. I’m not sure when this books will be out, but I’m hoping to have it finished by the end of the month or early December. The stitching isn’t the best, and my hands felt like they’d been run through a meat grinder for a few days, but it was actually a lot of fun. In fact, I may have just picked up a new hobby. 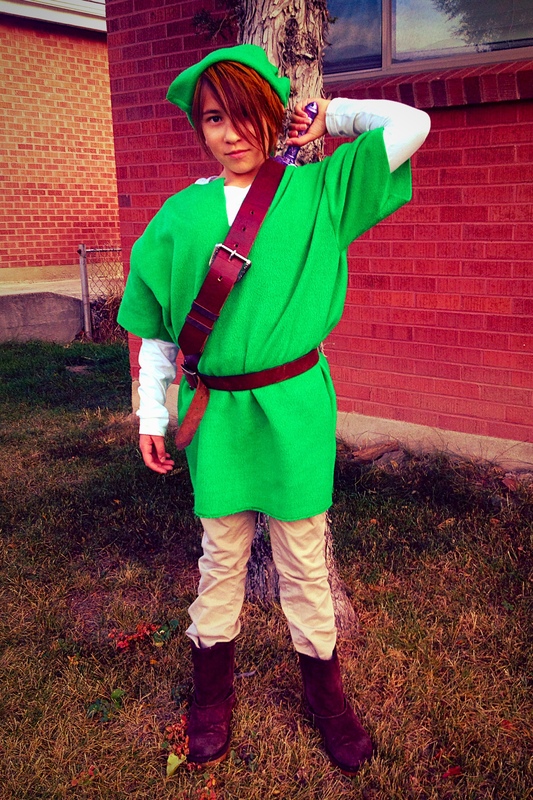 Jaime made the rest of the costumes, and here’s my step-daughter as Link. 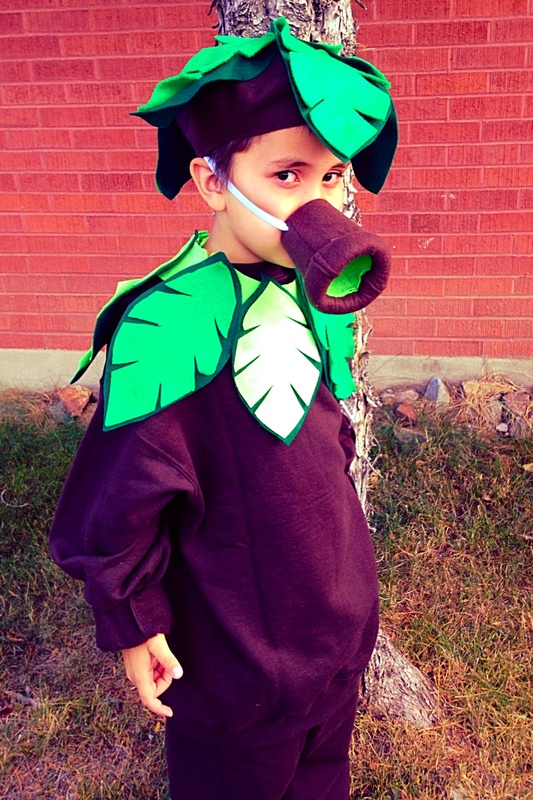 And here’s my step-son as a “deku scrub,” which, he will correct you, is not a character, but a race from Legend of Zelda. It was quite a fun Halloween. I hope yours was, too. Before I go, just a last bit of writing news and updates. I get MANY emails and comments on the blog asking when the next Quantum League book will be out. I am so, so sorry that I don’t know. That’s up to my publisher, as well as other factors outside my control. I have written a draft of it, and I think it’s pretty cool. If you want to read it, I would recommend letting your local bookstore know that you want it. But in the meantime, I have a new series starting up with a new publisher. The Arctic Code, book one in the Dark Gravity Sequence, will be out next April, and I’m really excited about it. It’s going to a place I’ve never gone in my books, namely the future. When I have a cover and I can tell you more details, I will. You’re so productive, Matt. I’m in awe as I work through yet another revision of my WIP, which I have begun to call the Accursed Book. 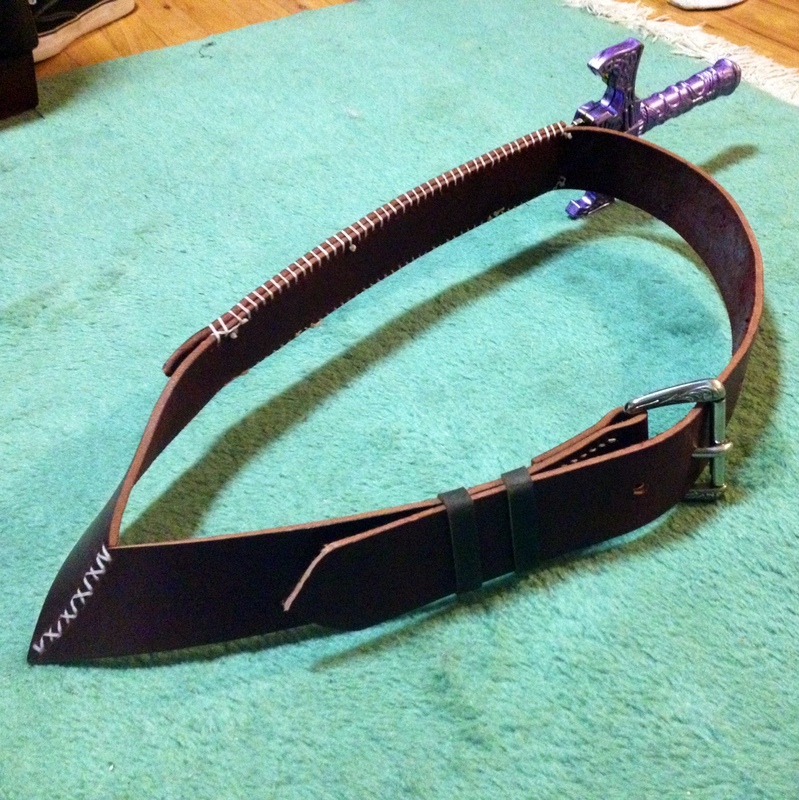 I think I want one of those baldric things. Too bad I’m too lazy to make anything of the kind, either for me or for my kid, whose room is full of swords. I’m excited about your new books, especially that Victorian YA horror novel–I like the sound of dark and redemptive. Loved The Lost Kingdom, by the way. I don’t know if I got a chance to tell you that.